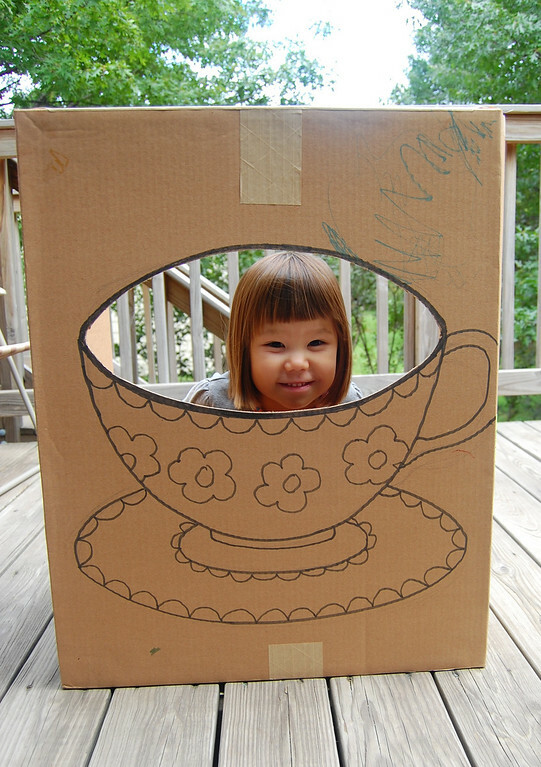 I had sooooo much fun with cardboard at this party. like cardboard more than fabric. Incredible! 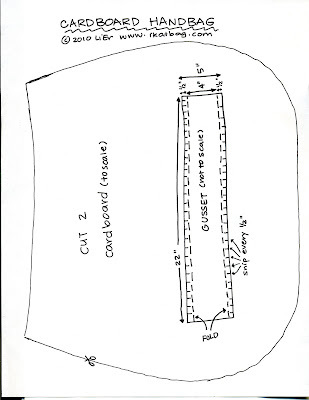 First up is a really simple cardboard beanbag toss board. 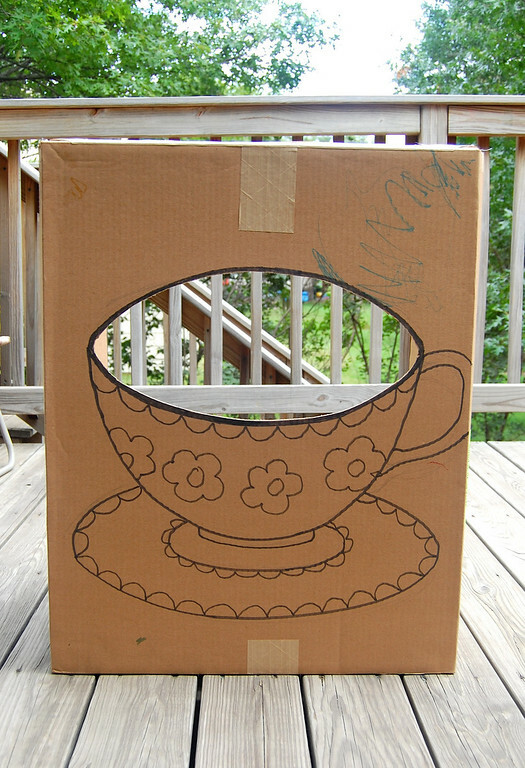 I drew a teacup, cut out the mouth, and had the kids decorate it. Er... although first they had to play with it. Ahem, so, as I was saying, the kids decorated it. Tune in to the next post to see the beanbags! and glue it on with a good strong glue (I use UHU). 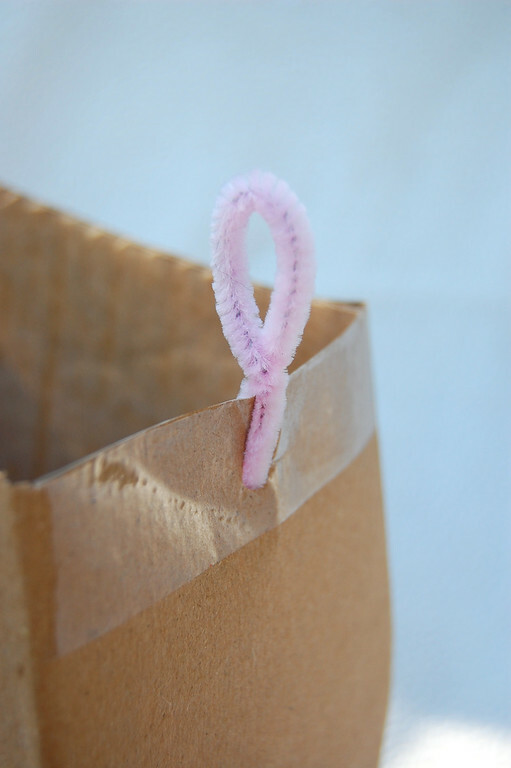 and twist half a pipe cleaner/chenille stem to make a loop. 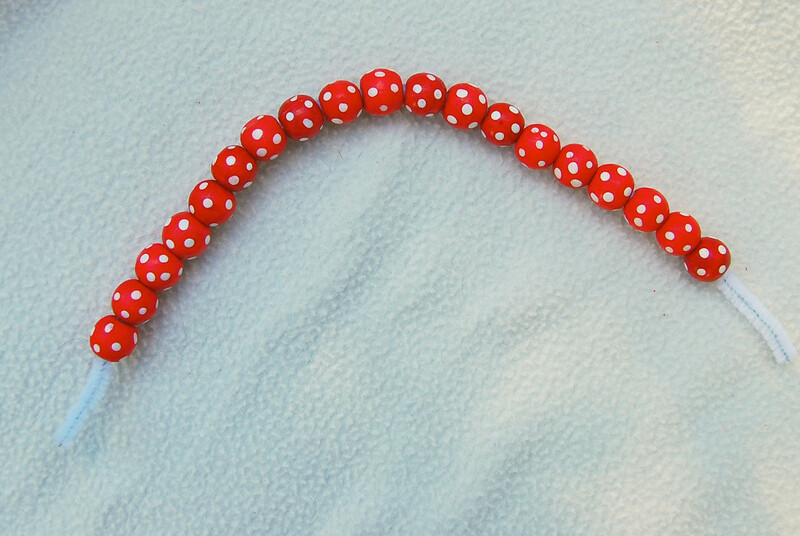 Polka dot beads from here. like these paper panels on the sides of the handbag. I use glue dots. They are fast, strong and not messy. 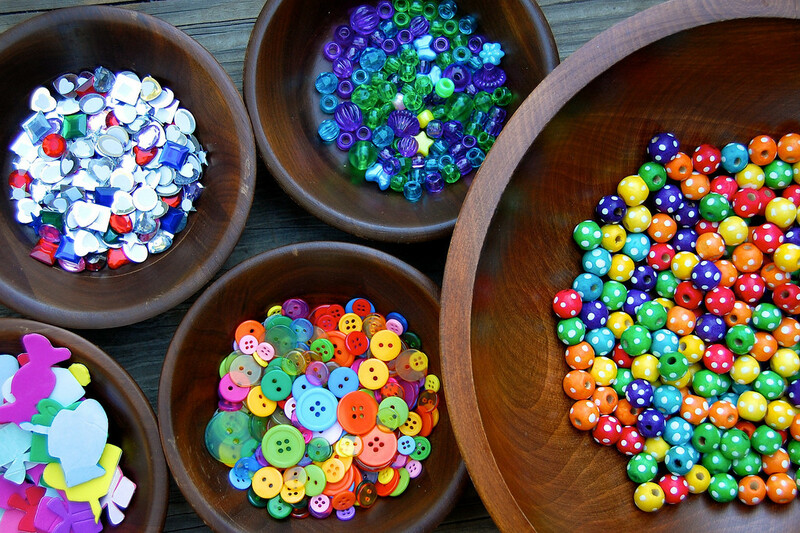 decorating, beading, and little girl/old granny charm. At the end of the party, they took them home as goodie bags. print it as you would any letter-size document. OH. MY. GOODNESS. !!!! I wish I'd had a mom like you when I was a kid! Wonderful projects!! I am always astonished by your creativity! Wow! and please do not consider stopping to sew in favor of cardboard crafting! NO!!! You rock! What an awesome birthday party! 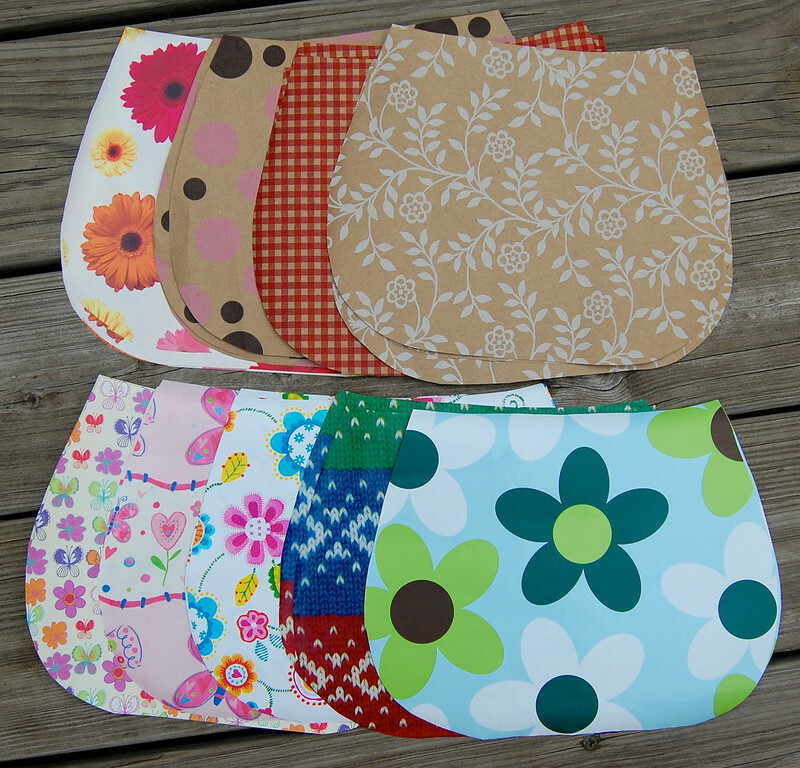 Thanks for the pattern for the cool purses too. What a great Idea! 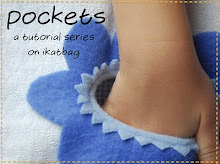 Thanks for the pattern I will be making these with my girls for after school crafts. 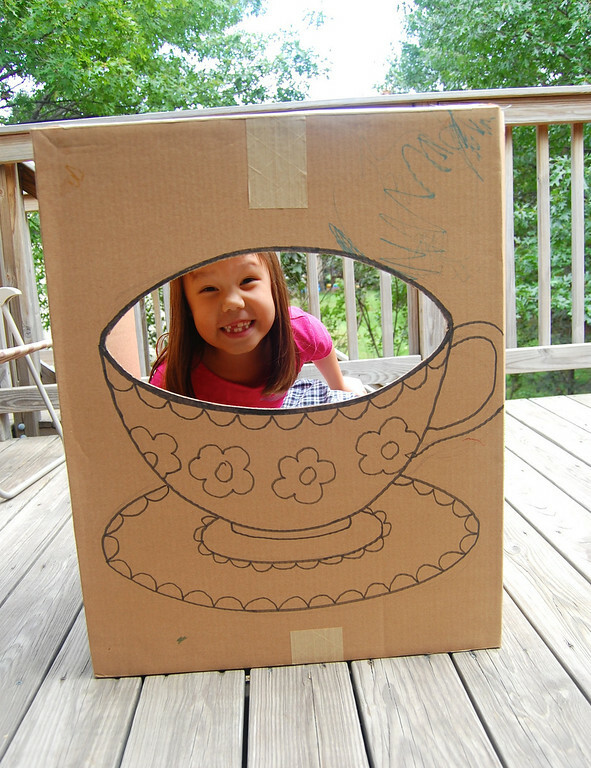 You should consider writing a book on cardboard crafting, I am pretty sure there isn't one around. All of this is a wonderful. The photobooth and the granny bags, the girls will remember this for a very long time. 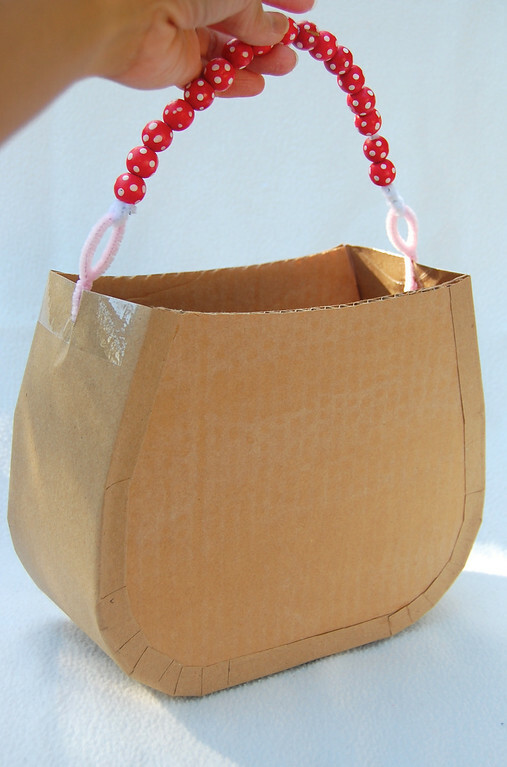 Since I have an all-boy household I'll probably never get to do such a cute girly party & make purses, but I had to tell you how awesome those cardboard purses are! Very smart thinking to make them like that. Thank you ! I love them. I will probably use them as birthday bags, too, with your source, of course. Thanks for sharing your great ideas ! Cool idea! Must remember this for future parties for my little chick. 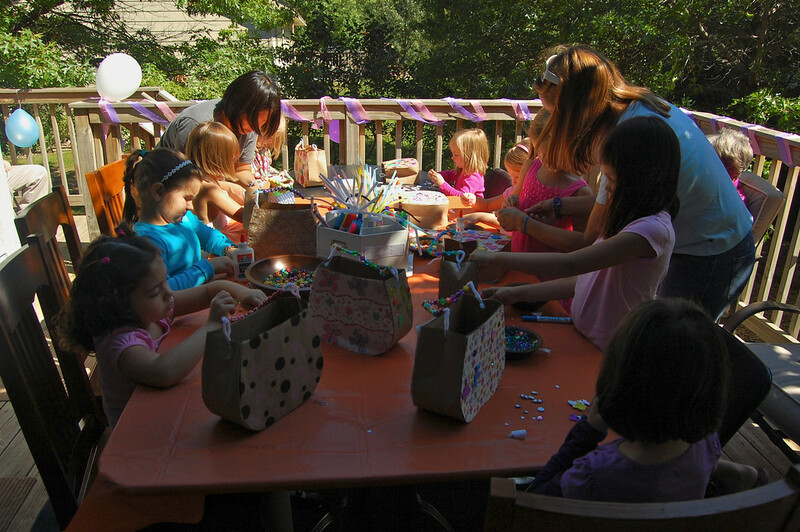 That is the cutest party craft I've ever seen. I LOVE it. Thanks so much for sharing. I am in love with those purses. I think we will have to make these at my daughter's B-Day party in November! Oh, and I just remembered that I have a pattern for purse cards we could use for invites. I can't wait! 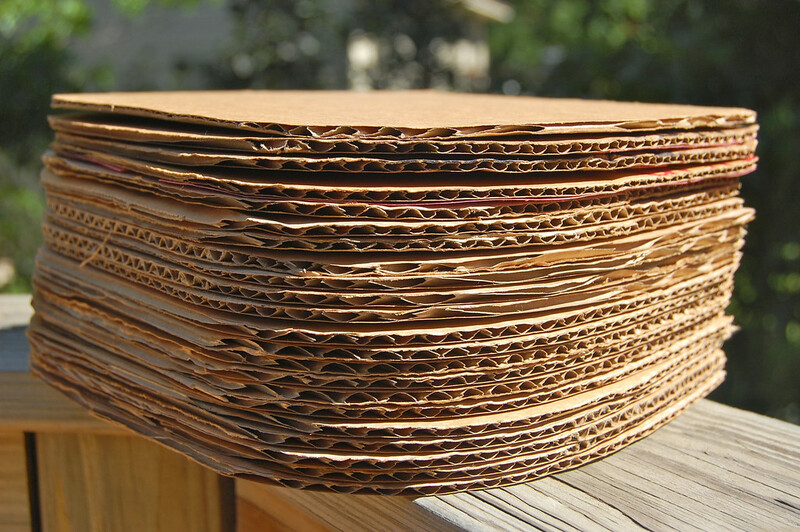 Question: is there some trick to cutting cardboard? It always seems so hard to cut and impossible to cut accurately. Is there some trick I don't know? Special scissors/craft knife? Or do I just need more practice? 2 A box cutter/retractable-blade craft knife (X-acto, I think, is a popular brand), with which I use a sawing motion (hold blade at an angle, not vertically and saw up and down) around curves. 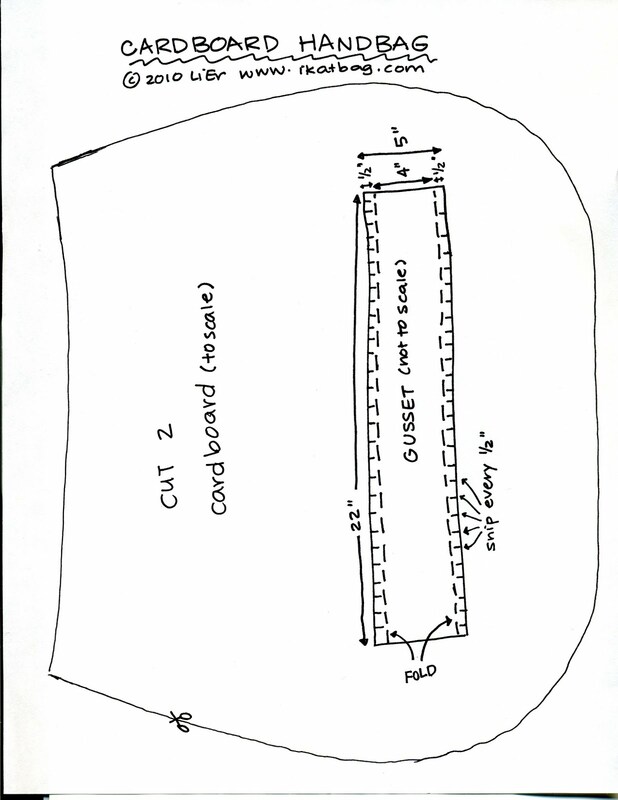 If I am cutting long straight lines, I just slice it against the edge of a long metal ruler. 3 Use a cutting board or another unwanted piece of cardboard underneath when using the box cutter/knife to slice straight lines. When sawing around curves, I like to pretend I'm a carpenter and suspend it on a saw-horse type support (often a step stool is good). 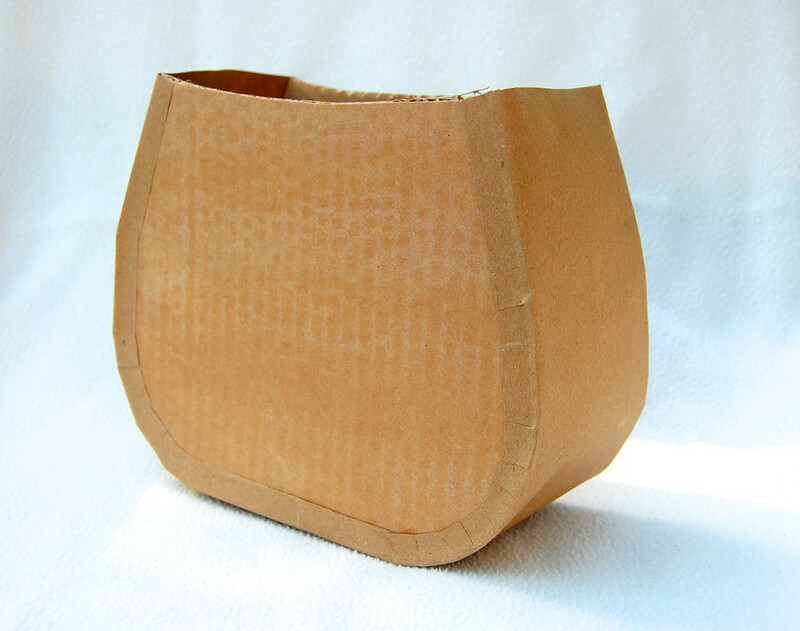 And speaking of supplies, do you think that the blank side of brown paper grocery bags is strong enough to make the side gusset? 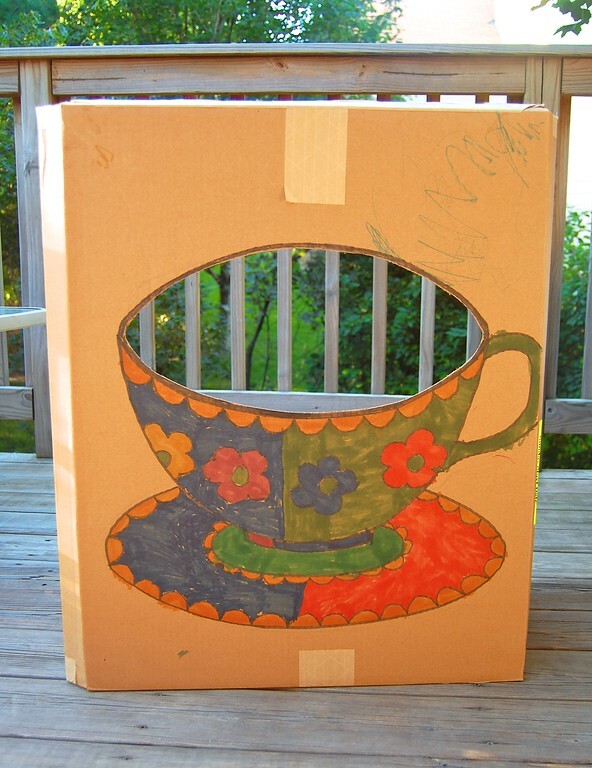 I'm trying to do a birthday tea party on the cheap, and I have the cardboard for the sides, plus paper, and beads, and chenille stems. 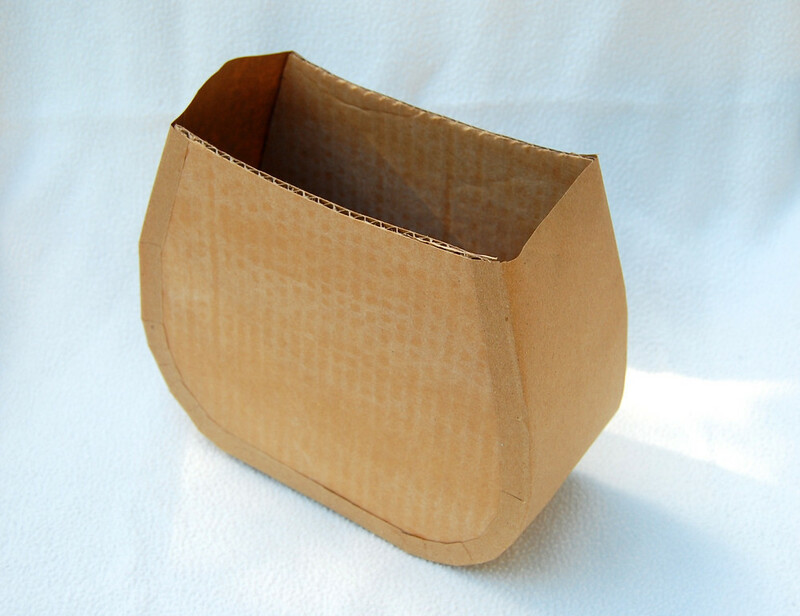 It would rock like nothing else if I could use paper bags instead of buying real kraft paper. Can't wait to try this out! I would say yes. 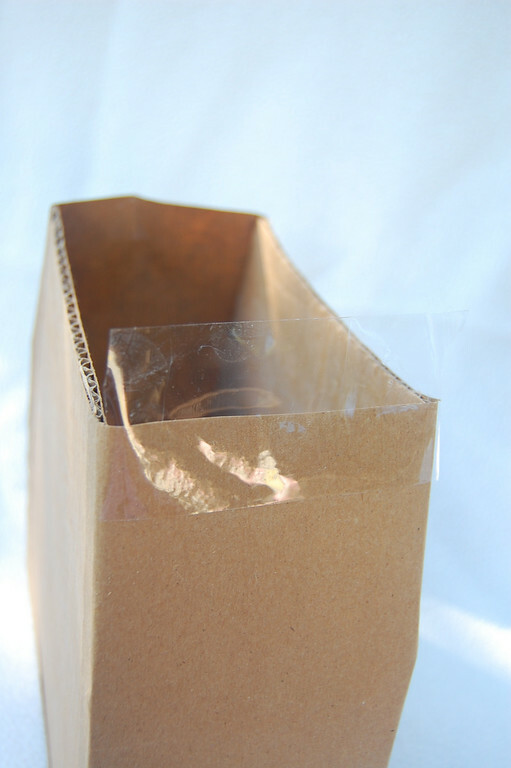 If you're worried that it can't hold up to the weight of the contents, you could try a double layer (glue together). More work, but free supplies, so it's still good! You have got to be the coolest party mom ever! And I think I could actually pull that off - and my daughter would be beside herself because she adores purses. Glue dots - good word. Thanks for that tip. My kids are attracted to glue but it requires way too much supervision for me to tolerate it very long. 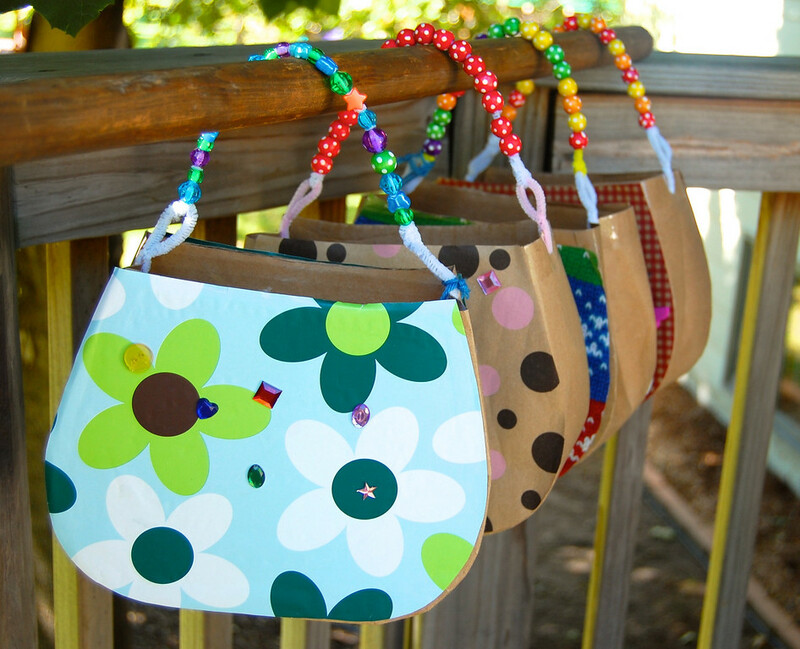 I love how the purses turned into goody bags! So clever and practical. How clever! 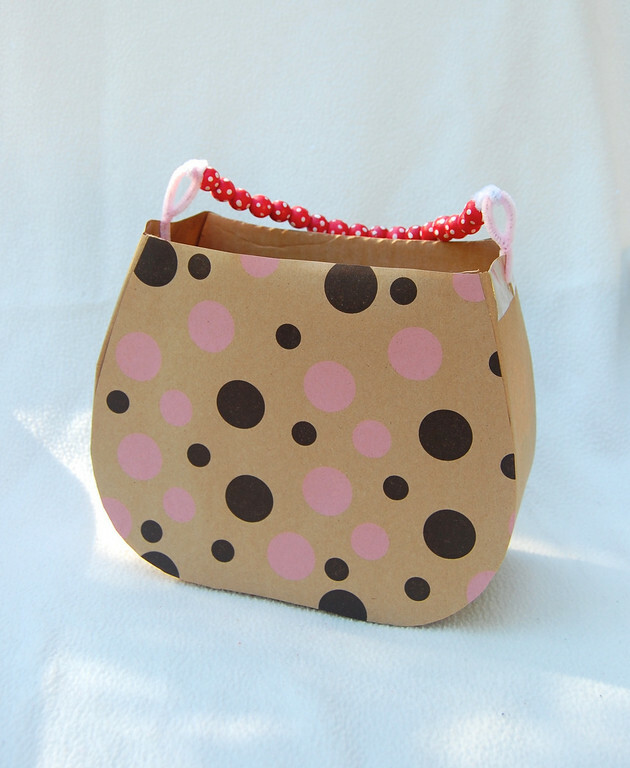 A great idea for gift bags, favors or give-a-ways for a baby or bridal shower. After reading this post, i was so inspired that I immediately started on the cardboard ship that I had wanted to make for ages. I wasn't sure my 3 yr old girl would like it but when she got home from school she was thrilled, holding it up and kissing it (and it's not even complete yet). So I think I might cut the handbag out today. Thanks for all the fab ideas! Wow Lier! That is such a great idea! You must be the best and most creative Mum on the block! I love your projects! You are sooooo amazingly awesome!!! You are such a magnificent crafty mother!!!!! 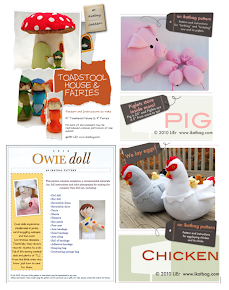 I am so amazed at your creativity each time I check in to the blog! 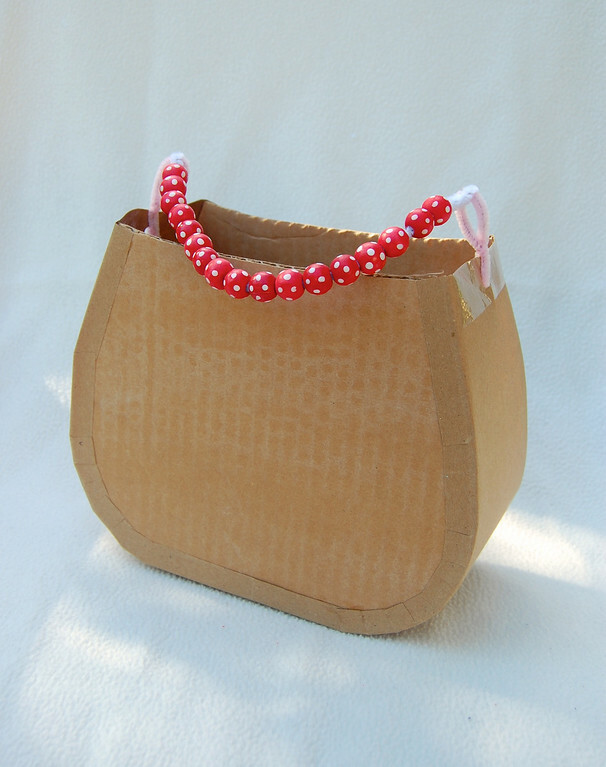 I absolutely LOVE the handbags :) I want to have a party and make my own! I am really enjoying your blog. You are full of amazing projects. Thanks so much for the post. I just wanted to let you know that if you have a bandsaw with a fine blade it cuts the cardboard like a dream, no hand pain! my daughter is turning 5 this week ... and I'm having a tea party for her next Saturday ... your ideas are going to be used! Just printed out the handbag and look forward to getting to work! We made these for my daughters bday party and they turned out great! I added printed/colored duct tape to the sides to cover up the brown and for added support! Great Idea! So inspirational. Am going to try the doll house for my grand-daughter. Thank you for sharing such wonderful projects. Such wonderful, creative and inspiring projects. Thank you for sharing. 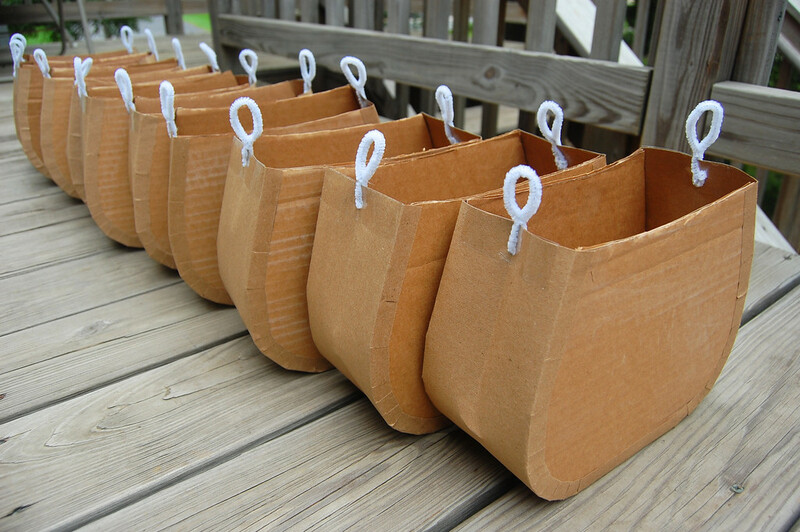 nice girly thing to do for girl scout parties!! 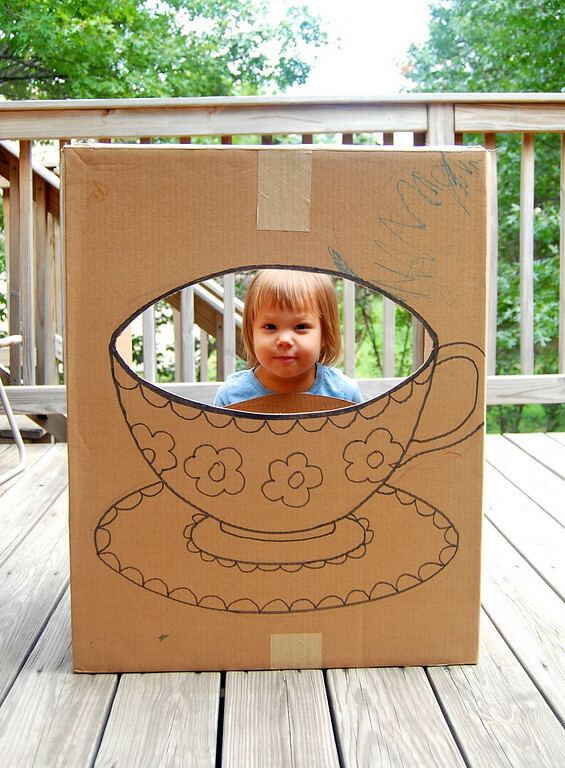 Ok so I spotted this craft on pinterest and decided we will try it for our little girl's 5th birthday. It was a fantastic craft to do with the girls!!! So happy I saw this. 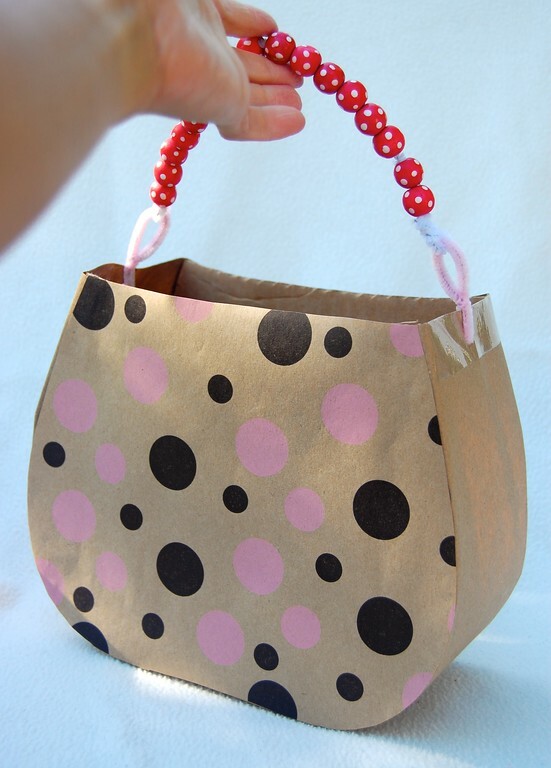 Great purse idea. I do, however have a question on how to attach the gusset paper? Meaning what do I do with the 2 pieces of cardboard while trying to attach? Emily: I'm not sure what you mean but I'll try to guess. Attach one cardboard side at a time. Cut about 1/2" deep slits, about 1/2" to 3/4" apart, along BOTH long edges of the gusset (make sure it's long enough to go around the sides and bottom of the handbag). 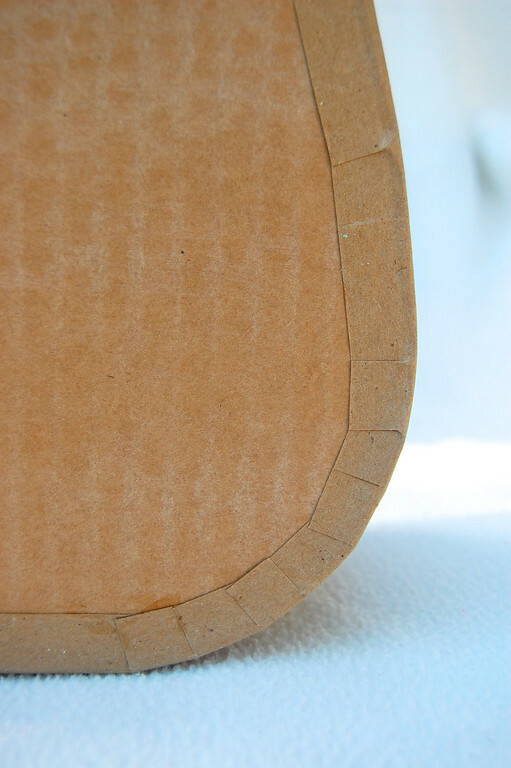 Apply glue to the edgemost 1/2" of the cardboard side (excluding the top edge, where the gusset will not go). 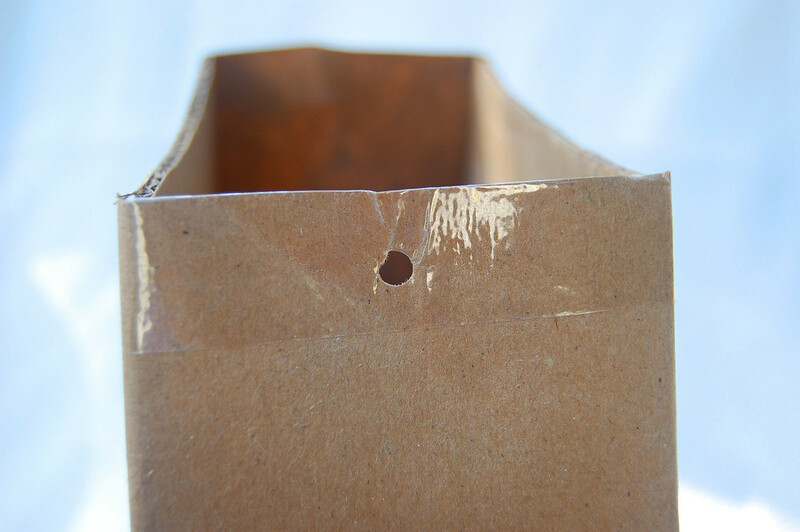 Beginning at one top corner of the cardboard side, begin sticking one long edge of the gusset, pressing down the allowance with the slits, as you go, until you reach the other top corner of the cardboard side. 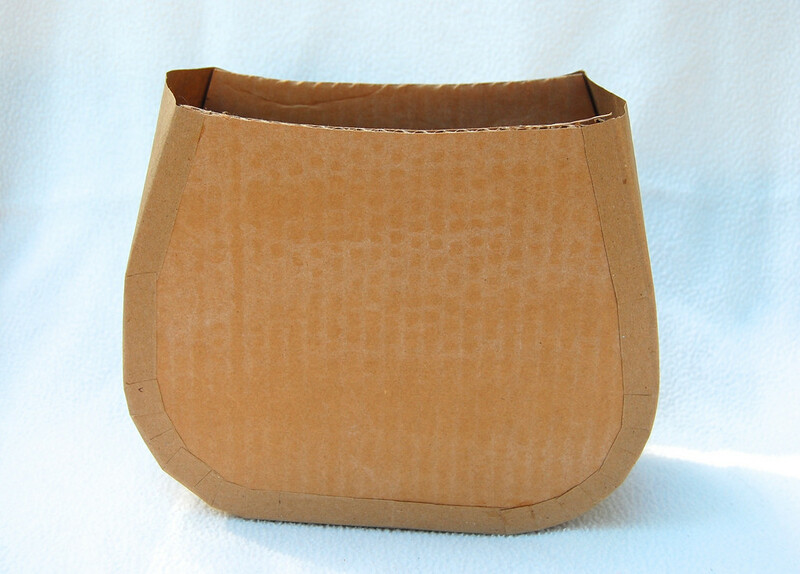 The gusset is now completely attached to one cardboard side. Cut off the excess length of gusset. Repeat to attach the other long edge of the gusset to the other cardboard side. Thank you so much for sharing your creativity!!! I love this idea !! Amazing projects! I agree your daughters are SO lucky to have you as their mom! We are so lucky that you share these great projects! Wow! FANTASTIC idea. I can't even tell you how excited my daughter and I are to add this to her 8th birthday party this weekend! Thank you for sharing! I am loving this and would like to do this for my daughters birthday in a few weeks! Can I ask where you found the corrugated cardboard? Was it a roll or was it sheets? I am having a hard time finding it anywhere. spenn: I usually cut up shipping boxes. For larger boxes, I go to stores like Costco or Target or Sams Club or appliance stores or hardware stores and ask if they have a large box or sheet in their recycling room. These bags are so lovely ! I had no idea for my daughter's birthday party. she and her friends will love making them. Thank you . I love this! Thank you so much for sharing your creativity! LOVE THIS IDEA! 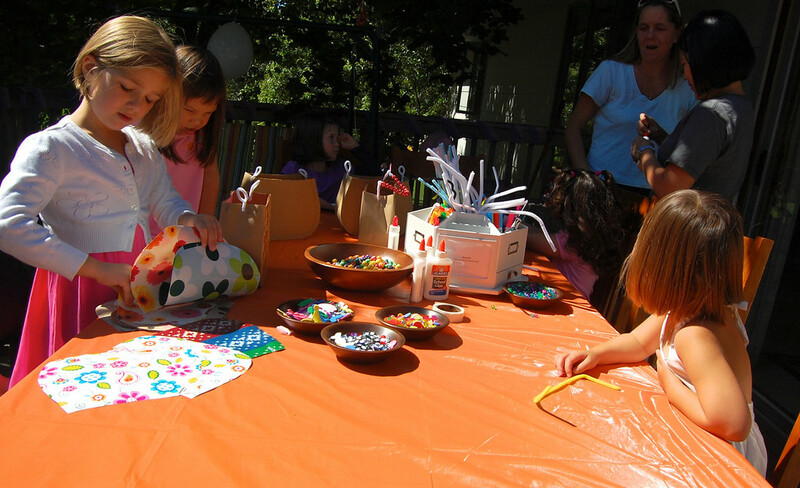 You are so creative, the parents at my little girls party this weekend even wanted to make one. If people don't want to buy a whole roll of Kraft paper...we used white poster board from the dollar store. It is strong, cheap, and looks really sharp! Thanks for this idea.